Parking Lot and Parking Garage Sweeping and Line Striping. ACS PowerWash – Since 1995 ACS PowerWash has dedicated itself to the preservation of your property while helping you to control costs. Our wide variety of cutting edge equipment allows us to resolve an array of property issues from aesthetic to practical. We have worked with property managers, owners and others when creating a Chicago pressure washing program or snow plowing plan. We also offer sweeping services and line striping. Chicago Pressure Washing – ACS PowerWash is Chicagoland’s premier source for commercial pressure washing. 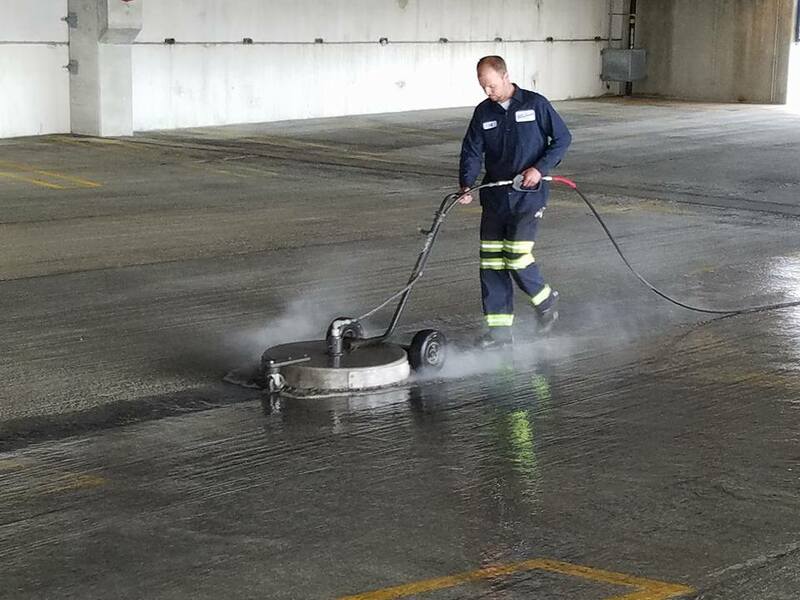 Whether it’s washing a parking garage or cleaning sidewalks, our trained professionals are here to take care of all of your cleaning needs. We have cleaned facades, exteriors, roofs and sidewalks for offices, retail shopping, residential associations and industrial facilities. Chicago Snow Plowing – ACS PowerWash is your number one choice for commercial snow removal and relocation services. Snow and ice buildup can disrupt business, and create a potentially hazardous environment for customers or residents looking to enter your property. At ACS PowerWash we want to ensure that you and your customers can access your property safely. From clearing sidewalks to relocating snow to maximize your usable space. We are equipped to handle every snow related task. We maintain a full line of snow removal vehicles including pick-up trucks, salt trucks, wheel loaders and skid steers to get the job done quickly and efficiently. No matter what the job, you have our guarantee that the service you receive will exceed your expectations. Since 1995, we have been a leader in the field of professional pressure washing and snow plowing. We use cutting edge technologies and a well-trained professional staff. We are always evolving to meet your ever changing needs, whatever they may be. If you would like to discuss our commercial services, contact us at 847-446-8316 or email Info@ACSPowerwash.com.